Tap Into Maple is a great chance to explore and experience all Ontario’s Lake Country has to offer. Ontario’s Lake Country, located in Simcoe county, is a quick drive from the GTA. Take a self-guided tour and enjoy all the maple creations in the area. The Tap into Maple tour is filled with a mix of stops guaranteed to get your senses flowing and your mouth-watering. Some of my favourite stops from the brochure include some maple syrup making history, tasting the local maple cuisine, some history and creating my own maple art. Terri Lyn makes all of the pancakes during tapping season. Shaw’s Maple Syrup Bush is over 100 years old and is family owned. The family business is now in the hands of Tom Shaw who is the 6th generation of Shaw men to pull liquid gold from the same trees. Shaw’s Maple Syrup Bush is truly a family affair, above you can see Tom’s wife Terri Lyn making pancakes and french toast. There is also Tom’s cousin, retired firefighter Scotty, who helps with taking orders. The pancake breakfast is a great way to taste the maple syrup made by the Shaw family. Some of the products available in the shop. If you are in the shop, you must ask to try their Maple BBQ sauce… it is so so so good! There is also a walking trail on site, you can watch the sap boil in the evaporator and even catch a horse-drawn wagon ride. In the off season make sure to check out the catering side of Shaw’s Maple Syrup Bush… I hear the ready made BBQ package is delicious. The Balance in Spa at Casino Rama is worth indulging in during your visit to Ontario’s Lake Country. A full-service spa with a connected indoor salt water pool with hot tub is just what I needed to reset my mind and body. Also available to use is a eucalyptus steam room, sauna, and adult-only fitness facilities. During the month of March, the spa offered a maple-inspired massage. I opted for a pedicure and a relaxing 1-hour massage… yes I had TWO feet massages in ONE day. The estheticians at the spa, like all employees at Casino Rama, are caring and friendly. Lois Green gave us a tour of the museum, told stories about the Sir Samuel Steele Memorial Building and gave us a quick art class. The Orillia Musem of Art and History (OMAH) acts as a hub of culture and heritage in the heart of Orillia’s Peter Street Arts District. My friend Sandi from Canadian Blog house behind bars. Graffiti left by inmates is still visible. The building that houses the OMAH was built by architect Thomas Fuller who was also one of the architects on the Parliament buildings in Ottawa. Finished in 1894, the building has served as a post office, a police station (the holding cells are still in the basement and serve as the offices) and courthouse, office building and now it is home to OMAH. The OMAH has many exhibits and collections to enjoy. The OMAH is also a place to learn and express yourself through art. There are many classes offered in the building and the group of bloggers I was with was treated to an image transfer project. The OMAH is a proud supporter of art in local schools and helps to augment their art programs. The OMAH has a little gift shop filled with items made by local artisans. Wood carvings, textiles goods, pottery, glass work, and greeting cards are some of the beautiful eye catching items I spotted. I was able to pick up a souvenir for my Mother as well as a couple of new pieces for my home. TAP INTO MAPLE runs from Mar. 1 – May 31 in Ontario’s Lake Country and there is something for everyone to enjoy. Take a peek at their website or brochure to learn more. Disney•Pixar’s “Finding Dory” to Dive into Theatres Nov 25 2015! Running of The Sap Time ~ Fresh Maple Syrup Coming Soon! Looks like you had a fun time, pretty amazing reading about the history!! I love Ontario Maple syrup, only the best!! Oh this looks like a blast! 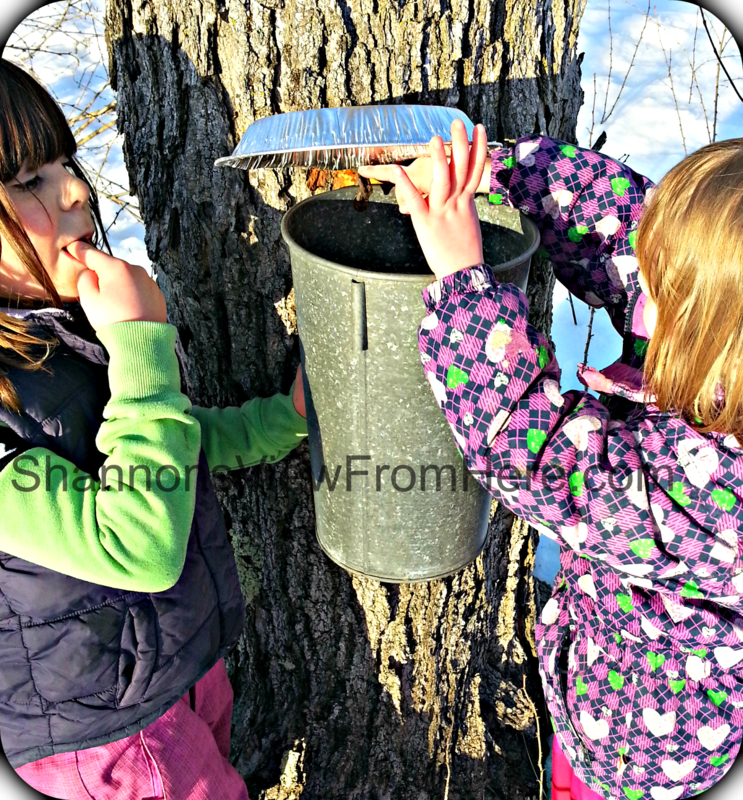 I would love to visit Shaw’s Maple Syrup Bush, yes to pancakes with maple syrup! I love learning and that Maple Syrup sounds delicious ! Looks like an awesome place to relax and also to learn new things. This sounds like a fun little getaway that my hubby and I would enjoy. Truly seems this will be a fun visit for sure. I have never been to the area but if i do i would love to visit this place! We would go to Shaw’s just to buy some maple syrup! This sounds like a fun summer getaway! I’ve wanted to go to Rama for a long time! I love Ontario Maple Syrup so prefect on waffles and pancakes. We’re going to Ontario next May, so maybe we’ll try this! Those are some great stops to make in lake country! Yum! Maplely delicious! Lip smacking sweetness! What a wonderful place for a getaway!